Fear me not! Come hither! Look me in the eye! 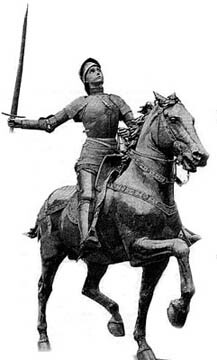 What woman would venture as a knight to ride? Did she take up the sword, or did she leave it be? That a figure of strength need not be a man?